Deposits made using any available payment method participate in the promotion. Bonuses are applied to all Classic and NDD trading accounts. 10%, 25%, 50%, 75% or 100% on every deposit from 100 USD and more. The amounts of deposits are not summed, the bonus can be received only on the one-time deposit (For example, the client deposits 50 USD and 50 USD, this will not be considered as 100 USD and the bonus will not be credited). 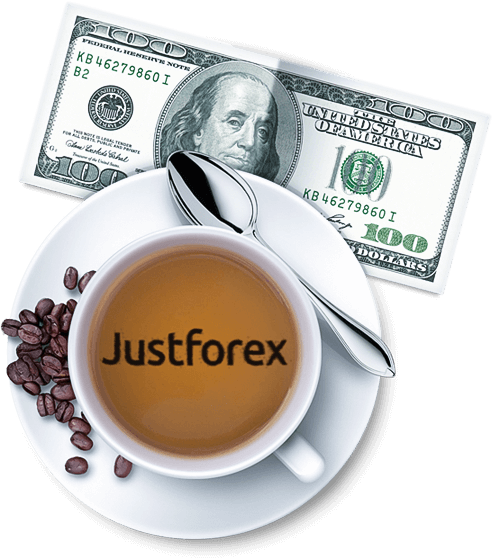 Deposits made using Any available to JustForex clients payment system participate in the bonus program. To learn more about the payment systems that are available, please visit this page. Special Deposit Bonus rules may take place for some of the payment systems. The account deposited with less than 100 USD does not participate in the promotion. 20 000 USD is the maximum bonus amount that can be received on all the client’s trading accounts. In order to get a bonus the client should mark “Get a Deposit Bonus” in the deposit form of Back Office, choose the bonus amount, read and accept “Deposit Bonus rules” and click “Deposit” button. The bonus funds are credited to the trading account in the field “Credit” and can be used as additional margin for trading. The detailed information is displayed on the “Received bonuses” page in the client’s Back Office. Bonus can be received for every deposit for the sum of 100 USD and more, but in this case the required volume (according to the clause 9 of the present rules) is traded consecutively according to the order of deposits. orders closed before the account was deposited to participate in the bonus program. Until the moment the required volume is traded, only the profit can be withdrawn. To remove the restrictions on the withdrawal of deposited funds, which participate in the promotion, the bonus should be canceled in the “Status” column on the “Received bonuses” page in the Back Office. Upon the completion of the conditions of the bonus described in the clause 9 of the present rules, it will be automatically transferred from the field “Credit” to the field “Balance” within 2 hours. The maximum time to trade the required volume is 90 calendar days from the moment of depositing the trading account. After the lapse of the named period, in case the conditions described in the clause 9 of the present rules are not fulfilled, the bonus will be canceled. Bonus may be also canceled prior to the end of the period in case the funds on the trading account of the clients are: Equity ≤ Credit.